Siliguri is blessed by singularly beautiful and spectacular parks and gardens which are a great source of refreshment to both local citizens and tourists. These large eco-friendly spaces provide recreation and environmental benefits which help Siliguri citizens cope with the jaded monotony of urban life. Some of the notable parks and gardens in Siliguri offering varied facilities for picnicking, camping and boating etc. are the Madhuban Park, Surya Sen Park and Savin Kingdom park. Savin Kingdom is a large caste themed amusement park established by the SAVIN group which has an impeccable hundred year tradition of bringing quality to their customers and guests in the multi faceted world of real estate, tea, education and entertainment. It is situated along the banks of the River Mahananda and covers an approximate space of 10 acres. The Savin Kingdom has been constructed near Darjeeling more off the Hill Cart Road and is at a distance of just 600 metres from Hotel Sinclairs. Apart from scenic vistas, the Savin Kingdom provides enormous recreational opportunities for the everyday visitor. 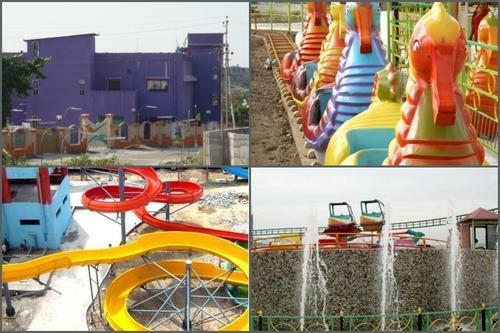 It has a dry park section and a water park, both of which will prove to bring lasting memories for family. 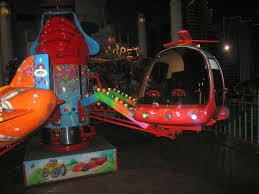 The dry park area has a variety of thrill rides like monorail, break dance, paratrooper, swing chair, go cart, fume ride, dashing cars and other fascinating options. The Savin Kingdom water park has some of the latest water rides like rain dance, multilane, tunnel rides, wave pool and playstationstaton for kids. These water activities are supplemented by infrastructural facilities like shower rooms, changing room, swimming costume rentals, goggles and tubes. These benefits are a complete boon for all water lovers and those who come to Savin Kingdom to get a respite from the summer heat. Savin Group understands the importance of having a pleasure trip supplemented by good food. Thus the Savin Plaza is a large entertainment mall which comes with an adjoined food court with international as well as national food brands. Some of the other eating out options in Savin Kingdom are Alishan which is a multi-cuisine restaurant, the KBs Bengali restaurant and a KBs Galaxy, which is another multi-cuisine restaurant as well as bar (including hookah facility). There is also a Cinemax at the multiplex. Savin Kingdom has also incorporated several cultural activities within its precincts to provide all tourists and local people with a wholesome entertainment. Some of them include pottery making, henna painting, placing fortune tellers as well as magicians for stimulating your curiosity and adding to an enriching experience. An A3 Star Resort which is equipped with state-of-the-art facilities and infrastructure according to international standards (inclusive of LED TVs). 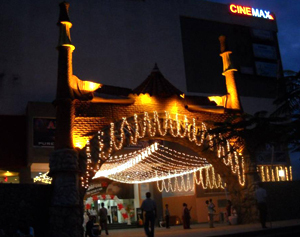 Savin Kingdom is reputed for having the largest outdoor banquet space in Siliguri. In fact, there are two indoor banquets having 8000 sq. feet which comes without obstructions leading to a 14,000 sq feet lawn. There is another smaller banquet area comprising of about 3000 sq. feet and is used for hosting get-togethers as well as conferences which for aesthetic reasons are held overlooking the wavepool. So enjoy your sojourn at Siliguri by reaching out to the castle themed Savin Kingdom and have the experience of a lifetime!